American journalist and satirist , known as 'the Sage of Baltimore,' in whose satirical reports on the Scopes trial in Tennessee the "Monkey" trial name was coined. In 19 books and thousands of essays, his writings are a treasure of wisdom couched in a sparkling wit. That ability to impart knowledge, it seems to me, has very little to do with technical method. It may operate at full function without any technical method at all, and contrariwise, the most elaborate of technical methods, whether out of Switzerland, Italy or Gary, Ind., cannot make it operate when it is not actually present. And what does it consist of? It consists, first, of a natural talent for dealing with children, for getting into their minds, for putting things in a way that they can comprehend. And it consists, secondly, of a deep belief in the interest and importance of the thing taught, a concern about it amounting to a sort of passion. A man who knows a subject thoroughly, a man so soaked in it that he eats it, sleeps it and dreams it—this man can always teach it with success, no matter how little he knows of technical pedagogy. That is because there is enthusiasm in him, and because enthusiasm is almost as contagious as fear or the barber's itch. An enthusiast is willing to go to any trouble to impart the glad news bubbling within him. He thinks that it is important and valuable for to know; given the slightest glow of interest in a pupil to start with, he will fan that glow to a flame. No hollow formalism cripples him and slows him down. He drags his best pupils along as fast as they can go, and he is so full of the thing that he never tires of expounding its elements to the dullest. This passion, so unordered and yet so potent, explains the capacity for teaching that one frequently observes in scientific men of high attainments in their specialties—for example, Huxley, Ostwald, Karl Ludwig, Virchow, Billroth, Jowett, William G. Sumner, Halsted and Osler—men who knew nothing whatever about the so-called science of pedagogy, and would have derided its, alleged principles if they had heard them stated. 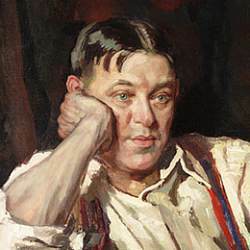 Science Quotes by H. L. Mencken. Prejudices: The Complete Series, by H.L. Mencken. - book suggestion.